Raise awareness of the recently formed Arab OER Forum, support its growth and development and contribute to the development of a roadmap for the Forum to enable it to support the follow-up of recommendation adopted by the Second World OER Congress across Arab States. Since coining the term Open Educational Resources (OER) in 2002 UNESCO has been spearheading various initiatives to raise awareness, build capacity, formulate policy and support implementation of this this concept. 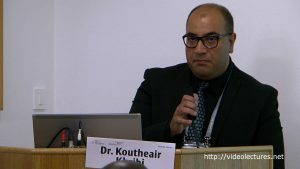 UNESCO’s landmark 2012 World OER Congress held at its Paris Headquarters was an important watershed, reflecting the growing recognition of this area by governments and serving as a catalyst for various national initiatives including across the Arab States. The “Exploratory Workshop on the use of Open Educational Resources (OER) for Arab States” organized from 21 to 22 November 2016 in Amman with support from the Arab League Educational, Cultural and Scientific Organization (ALECSO), UNESCO Offices in the Arab States, the Intergovernmental Information for All Programme (IFAP), provided an opportunity to reflect on and share national experiences. This event, held under the patronage of H.E. Dr. Mohamed Thneibat, Deputy Prime Minister, Minister of Education and Chairman of Jordan National Commission of UNESCO, brought together over 50 stakeholders, in the ICT in education field from 17 Arab States. Building on the commitments made in 2012 by Member States in Paris, Workshop delegates shared and drew on regional experiences, to understand the success factors for the effective use of OERs in enhancing the quality of education in the region. This led to the identification of 5 key areas – policy, communication and advocacy, capacity building, OER course development and innovation - based on the articulated needs, where regional collaboration was essential and a consensus for collaboration amongst delegates from academia, civil society, government, intergovernmental bodies and the private sector. The workshop led to the establishment of a community of practice, dubbed the Arab OER Forum, to develop regional pilot projects, facilitate collaboration and learning in the five priority areas. An online platform hosted by ALECSO has served as a repository for the community’s outputs, while a Whatsapp group and mailing list served as the primary means for communication. Through a request for proposals initiated by UNESCO a limited number of regional pilot projects linked to the key areas are being supported. Supporting follow-up of the Second World OER Congress in the Arab Region. The discussions will present projects launched by the Forum as well as ongoing activities of Forum members. With a view to developing partnerships ongoing regional initiatives that the Forum could be associated to will be identified. There will be specific attention to community building strategies that strengthen the Forum and enhance its ability to support its role as a platform for regional collaboration around OER and the follow-up to the Second World OER Congress. The reflections and outcomes of the session will be captured and serve as recommendations for developing a roadmap for the Arab OER Forum activities during the 2018 – 2019 period that can be budgeted, funded, implemented and monitored. An opportunity to contribute to the development of a nascent OER Community of Practice, to share experiences and shape the Arab OER Forum's 2018-2019 roadmap. Persons working on OER-related issues in the Arab States or interested in developing collaborations with OER practitioners and researchers in the Arab Region. 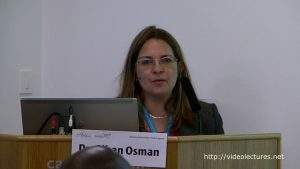 Dr. Gihan Osman is an assistant professor of instructional design and technology at the Graduate School of Education and the Center of Learning and Teaching at the American University in Cairo (AUC). Dr. Osman brings a variety of experiences to the Graduate School of Education. Previously, Dr. Osman served as the Associate Dean of Research for the Graduate School of Business at the Arab Academy Graduate School of Business (Cairo Branch) and as the Deputy Director of International and Doctoral Programs at this institution. Other academic roles held by Dr. Osman include working as an instructor, designer, researcher, and evaluator in a number of universities including Indiana University at Bloomington, the University of South Florida, and the Arab Academy for Science and Technology. She has taught in diverse contexts, at the graduate and undergraduate levels, in public and private institutions, in Egypt and the United States, in both face-to-face and web-based educational settings. Dr. Kamal Abouchedid earned a Ph.D. in ethnic studies in education in 1997 from the University of Manchester, U.K. and a Master in Adult Education in 1992 from the same university. Since 1999 he has been a full-time faculty member in Education, Faculty of Humanities at Notre Dame University-Louaize (NDU) where he currently holds the position of Dean of the Faculty of Humanities. His research spans the fields of quality assurance in higher education, citizenship education, gender issues, and group processes. Over the years, he provided advisory and consulting services to the United Nations bodies and various regional and national organizations. As the Assistant Vice President for Information Technology at Notre Dame University – Louaize (NDU) in Lebanon, Dr. Baroud leads in the campus-wide planning and implementation of information technologies that support teaching and learning, including training faculty members to integrate educational technology in their teaching. A champion of open education on campus, Dr. Baroud has made the integration of Open Educational Resources (OER) a key strategic goal of the University. Under his watch, NDU became an institutional affiliate of Creative Commons, and he is currently in the process of formulating policies for the successful use of OER in teaching and learning. He conducts seminars and hands-on workshops on open education and open licensing at leading Lebanese higher education institutions and has become a reference point on the subject. Dr. Islam Amro is CIS Associate professor at Al-Quds Open University; currently he leads more than 400 personnel from the university’s teams and departments in information technology, content development and educational media production. This framework is one of Palestine’s biggest networking infrastructure, corporate software systems development and operation, educational media production and a satellite channel. Dr. Amro led the first QOU initiatives on OER that ran on Qtube and other shared content platforms. Dr. Amro has served in local organizations, universities, private sector and international organization – such as UNESCO, UNDP, WHO, USAID - as an information technology consultant in capacity building, corporate IT project management and policy-making. His research interests and publications span several fields including education, e-learning, communication and signal processing, systems modeling and information security. Dr. Maria Fragkaki holds the position of Senior Researcher at Al-Quds Open University. She is a Special Needs Educator with a PhD, a State Scholarship and two Masters in Education Studies. She holds a Fellowship at the Higher Education Academy and a State Scholarship in New Technologies in Education. Her specialization links Higher Education Learning and Teaching with Technology Enhanced Learning in Higher Education. Her principal research interests lie in the field of learning and teaching in Higher Education with the use of state of the art pedagogies. Together these enhance the HEIs quality, new research methodologies enriching academic research portfolios, emerging technologies and Open Education Resources to create a flexible, open and effective learning environment. She has taught extensively in Europe and the Middle East with 25 years of teaching experience as an Academic Teacher and a Special Needs Educator. Mr. Andrew Moore is an international expert in OER and education technology applications; he is also a project manager at Neil Butcher and Associates (NBA), which he joined in 2003. Previously as an educator, Mr. Moore developed e-learning environments that ran on the school’s intranet and network. Subsequently, he has been involved in every aspect of the workflow processes required to build professional and effective e-learning platforms. These experiences have involved the development of e-learning platforms supporting teacher training, in higher and secondary education as well as continuing professional development and non-formal setting. Mr Moore has extensive involvement in projects that span the African continent, Asia and the Arab States as well as Central America and the Caribbean. Dr. Sana Harbi is Professor of Quantitative Methods at the University of Sousse (Tunisia). She initiated the team of Open Education Resources at the University. She involves her students and colleagues in activities and projects that reflect open education practices. In the last years, her academic interests have focused on the economic value and business models underpinning OER. In addition, Sana Harbi is a member of the University board and the academic commission at the Higher Education Ministry. Recently, Dr. Harbi was designated as a UNESCO Chair in OER. Dr. Koutheair Khribi is a doctor and engineer in computer Science. 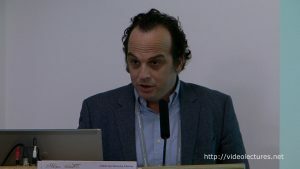 He is an assistant professor of ICT and Educational Technologies at the University of Tunis. Dr. Khribi has over 20 years’ experience in the Technology Enhanced learning field. He participated in the establishment of the Virtual University of Tunis in 2001 where he served as head of the ICT department. He headed also the E-learning Department at the University of Kairouan in Tunisia. Dr. Khribi is a Fulbright Alumnus, He attended the Knowledge Discovery and Web Mining Lab at the University of Louisville in the USA as a Fulbright visiting scholar. Currently and since 2014, he is a program specialist in educational technologies at the ALECSO ICT department (The Arab League Educational, Cultural and Scientific Organization). He is leading several projects related to ICT in education, namely, OER, MOOCs, Mobile Applications and Cloud Computing. Dr. Khribi is a researcher and IEEE member. His research interests include technology enhanced learning; educational recommender systems; open education; learning analytics; mobile and ubiquitous learning. 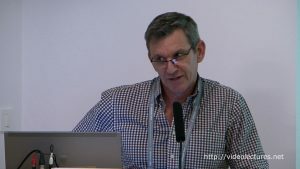 He has authored several well-cited e-learning related publications in scientific books, journals, and conferences. 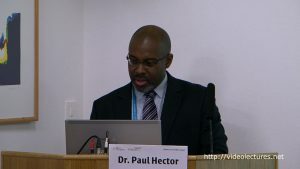 Dr Paul Hector is the Advisor for Communication and Information in UNESCO’s Cairo Office. Over the past 25 years, Dr. Hector has been engaged in roles of increasing responsibility in public, private and international organizations across a range of countries and cultural settings. 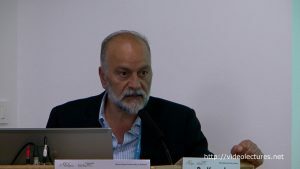 He joined UNESCO in 2000 under its competitive Young Professionals Programme and since then has been involved in a range of initiatives focused on the use and application of information and communication technologies (ICT) to support human capacity building through enhanced access to information and knowledge. He is an alumnus of the J. William Fulbright Fellowship Program and the US State Department’s International Visitor Leadership Programme. His research interests include knowledge-based development, urbanization, innovation and entrepreneurship.